Giving gifts is one of my favorite things to do especially on certain occasions. It is also fun to give someone something when they are not expecting it. I am always looking around and picking things up for friends and family. I adore little trinkets or books but most especially charmed jewelry. 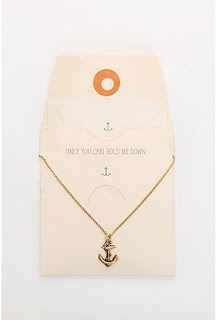 Urban Outfitters came out with a gold anchor charm tucked into a pink envelope saying, "Only you can hold me down." Can it get any cuter? Another local store of mine for gift hunting is Paper Source. A friend of mine is getting married and this book was perfect for her. 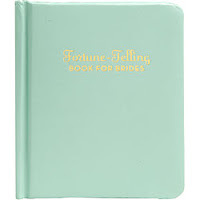 It is the Fortune Telling Book for Brides revealing how to bring all things good to a wedding celebration. One of my beloved haunts down the street is Aunt Sadie's. I think a candle is another perfect gift. Who doesn't love a candle? 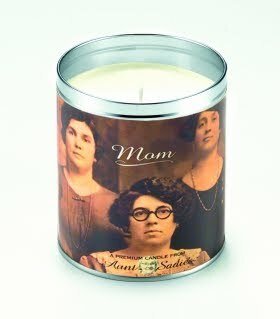 Aunt Sadie's is known for their array of hand-poured premium scented candles in scents from tomatoes to cabin fever. I love the Mom candle for Mother's Day. 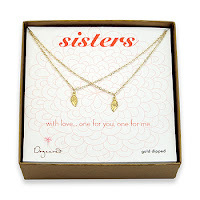 Dogeared is another company for a personal touch. I have a younger sister and I love finding her special things that remind her of me. 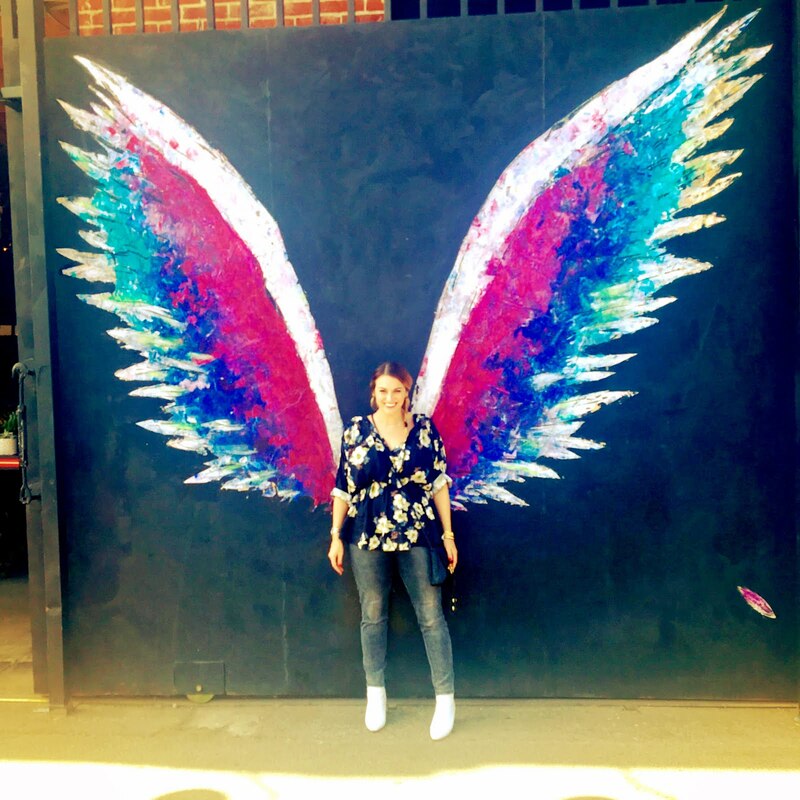 I am obsessed with these angel wing necklaces from Dogeared. Keep one half for yourself and one half for your sister. It takes you back to the days of splitting the hearts with your best friend, doesn't it?